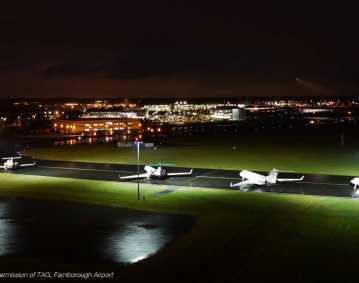 Since atg airports completed the refurbishment of the Farnborough airfield, traffic has increased and the type of aircraft using the airport have also changed over the many years. 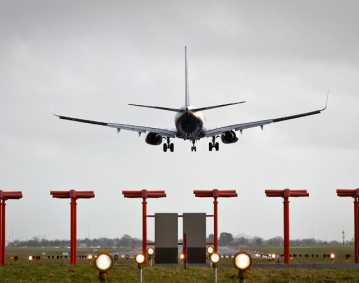 Taxiways are designated for use by all or only some aircraft types, depending on pavement strength and adjacent obstacles, with the greatest risk of wing tip collision arising when aircraft are holding or manoeuvring, for example on the approach to the runway entry point. To overcome this challenge, it was necessary for the substation housing the constant current regulators and AGL control system and services be relocated. 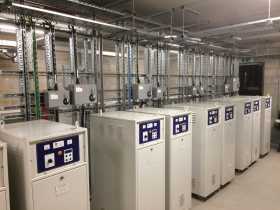 Atg airports were contracted to provide a full turnkey solution for this airfield development project. 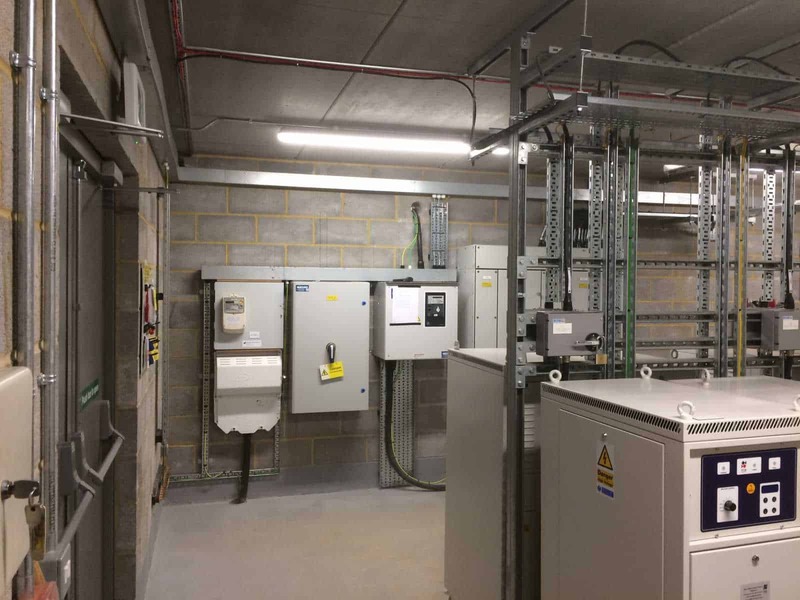 The primary objective of the works was to build a new substation that would house all the AGL service equipment, and completely fit out the building with switchboard, isolators, changeover switch along with service sockets and lighting. Once the electrical infrastructure within the building was complete a new AGL control cubicle was installed and connected to the existing ALCMS infrastructure. 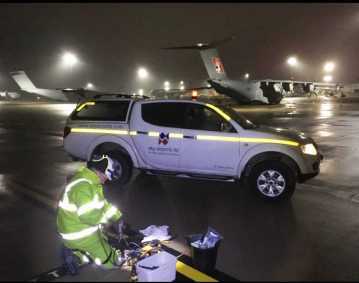 The individual AGL services and associated CCR’s had to be moved to the new switchhouse, but the client required the airfield to be operational at all times. This meant that careful planning and co-ordination between the ATC and works team was needed to ensure their requirement was met. Whilst a CCR was being disconnected from the old substation, transported and repositioned in the new, the associated airfield ground lighting circuit was extended and rerouted along the newly installed duct system. 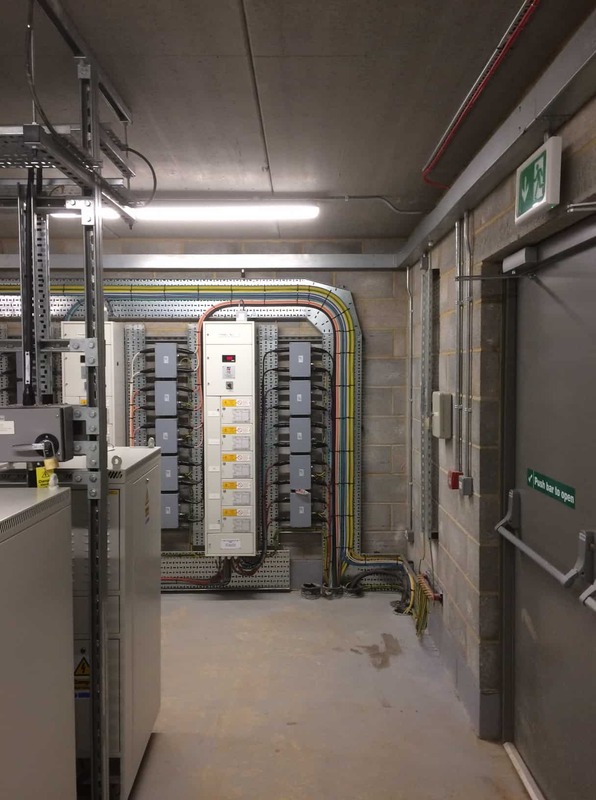 The AGL cable was then prepared and connected to the cable termination panel (CTP) in preparation for recommissioning of the circuit. 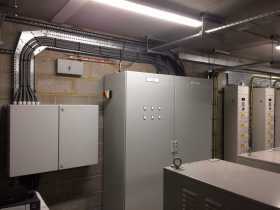 Meanwhile the control and alarm signals for the individual CCR’s also had to be split from one control cubicle to the newly installed panel. 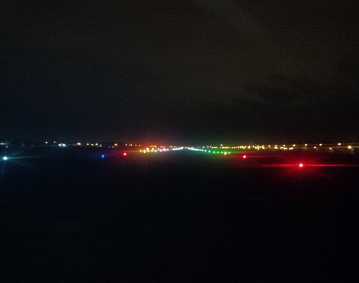 This allowed ATC to have full operation of the airfield lighting if required. With over 20 CCRs to be relocated this procedure repeated over several operational shifts, until all services all had been relocated. 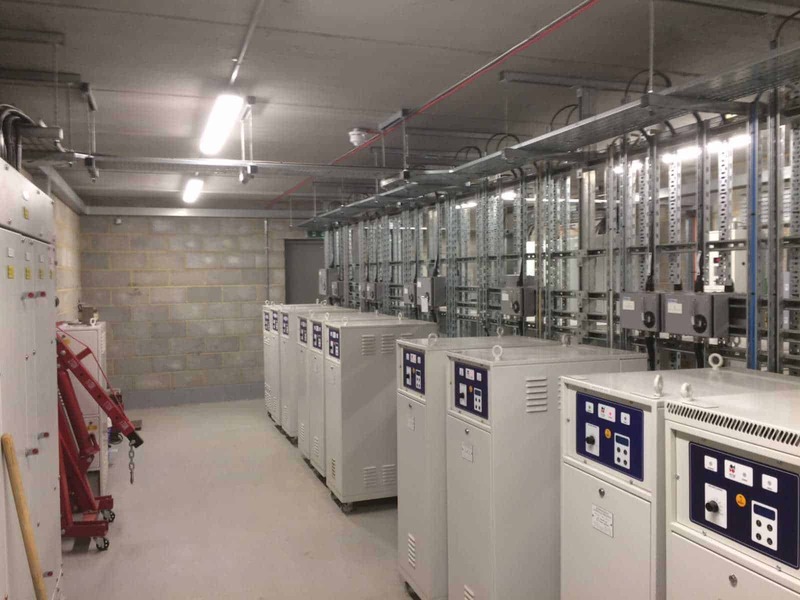 Whilst the main focus was to ensure the substation move was delivered on schedule, the team were also implementing the cabling of the primary and secondary circuits for Alpha and Bravo taxiways. 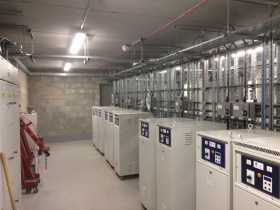 This work also included for the installation of isolating ground transformers, DC switching units and LED taxiway centreline lighting. 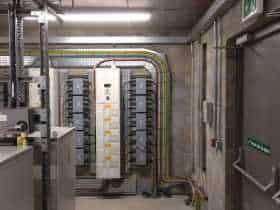 Following a walk round to check the lighting was serviceable, all the AGL circuits were tested for continuity and insulation resistance to confirm to the client the condition of each circuit before acceptance.